For example, I would like to test relationship type STRSET and then I plan to add it to product category 00001. However, in available drop down list, I could not see relationship type STRSET. Why? When debugging the backend logic to render relationship type drop down list entries, I found there is a check implemented by the function module below, to avoid a relationship is assigned more than once. a set type / relationship may be assigned to more than one category within a hierarchy, but to only one hierarchy for each product type. Therefore even if two categories are in different hierarchies but have the same product type, it is not possible to assign the set type / relationship to both categories. 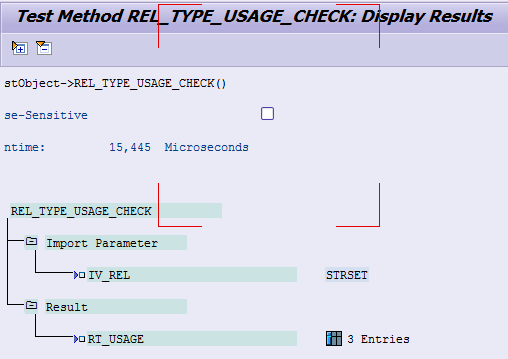 In my example, the check against my category 00001 belonging to hierarchy R3PRODHIER fails ( assign_not_allowed ). The question is, how to find other categories in different hierarchy other than R3PRODHIER, which are already assigned with STRSET? 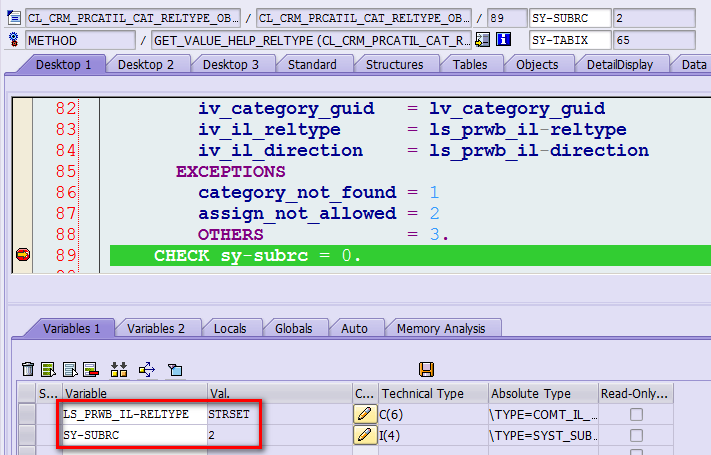 Output is a table with line type category id, hierarchy id and product type the category is assigned to. As a result I have several approaches: I can remove the relationship STRSET from category ZALTID, after that it will be possible again for me to add STRSET to category 00001. 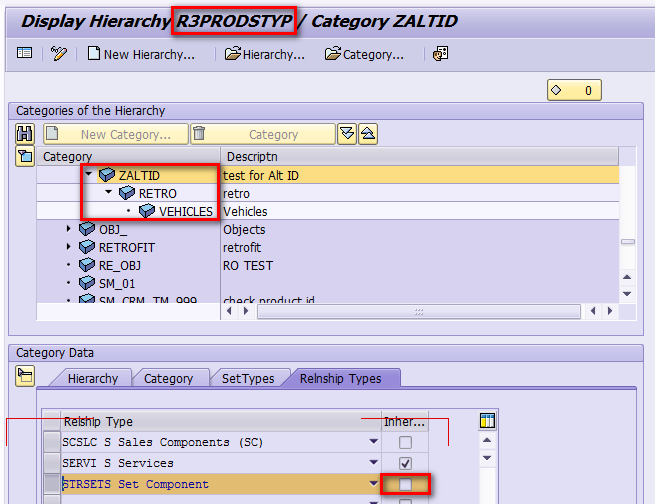 If there is already product created based on category ZALTID, it will not be possible to remove relationship from ZALTID, then I have to consider to directly add category ZALTID or its children category to my product. tt_usage TYPE STANDARD TABLE OF ty_usage WITH key cat_id hier_id . LOOP AT lt_prcat_il_rel INTO ls_prcat. APPEND INITIAL LINE TO rt_usage ASSIGNING FIELD-SYMBOL(<result>).